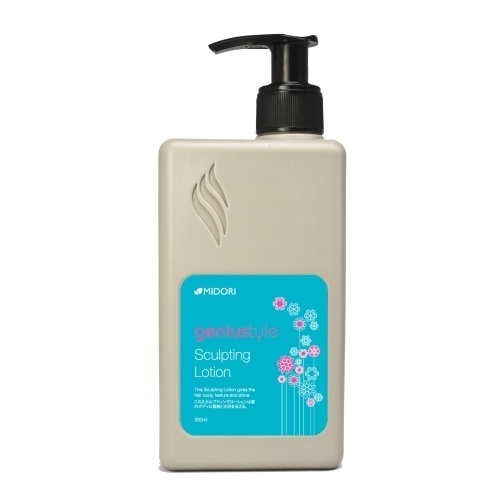 MIDORI GENIU-STYLES SCLUPTING LOTION 300ML – HAIRDEPOT - Hair & Scalp Care Products, Prevent Hair Loss, Shampoo, Conditioner, Treatment, Styling, Appliances and more! This sculpting lotion gives the hair body, texture and shine. Apply to dry or wet hair, style as usual. Use more for a wet look.